For this project, I traveled and collected plants during different seasons and in different habitats across Central Virginia. My paintings depict key qualities of my walk such as the color, texture, density, and diversity of the plant communities within that particular plant habitat. This is and arbitrarily and subjuectively selected “slice” through time and space. I made decisions to include certain plants and remove others to allow the viewer to see what I perceived to be the most characteristic of that particular walk. I made an efforts to collect (with permission) native plants although a few invasive and naturalized plants are occasionally portrayed. 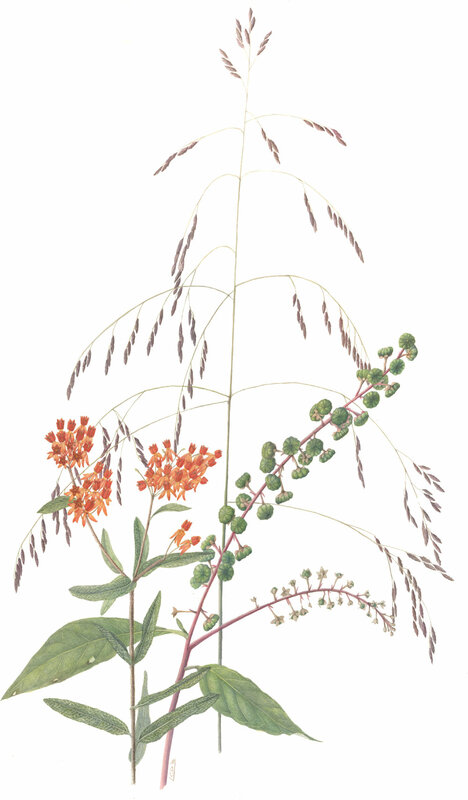 These paintings can be of horticultural and botanical interest since they give insight into the native plant communities in Virginia, time of flowering for different species, and the diversity in plant textures and characteristics. The full original collection is available for purchase. Contact Lara for pricing and and questions.